US FORCE ALLIES EFFORTS TO BUILD QUASI-STATE IN SYRIA? The United States wants its allies in the region to step up their efforts in Syria, while its purpose is to transition to local enforcement in the country, White House spokesperson Sarah Huckabee Sanders said in a briefing on April 4. “We want to focus on transitioning to local enforcement and do that over this process to make sure that there is no reemergence of Daesh and takeaway of some of the progress that we’ve made,” Sanders said. On March 29, Donald Trump pledged to pull US troops out of Syria “very soon” to “let the other people take care of it”. 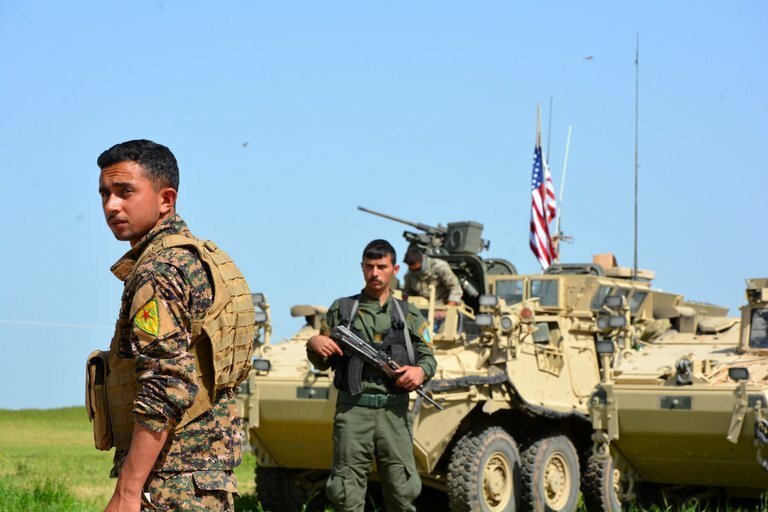 However, after the announcement, the commander of US Central Command, made it clear that American troops would remain in Syria in the future. “There still are some areas where they are present and that we will have to continue to operate on,” General Joseph Votel said.